Diamond Halo Engagement Ring in 14k White Gold | Shane Co. 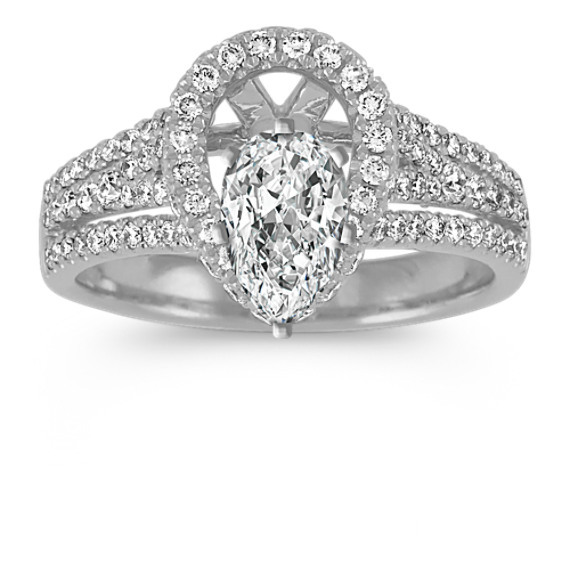 This halo engagement ring was created to hold your chosen 1.00 carat pear-shaped diamond flush within the halo setting. One hundred eighteen round diamonds, at approximately .79 carat total weight, are pavé-set in quality 14 karat white gold and brilliantly accent the setting. This ring measures 12mm wide at the halo and 3mm wide at the band. Gemstone Carat Weight :.79 ct. t.w.